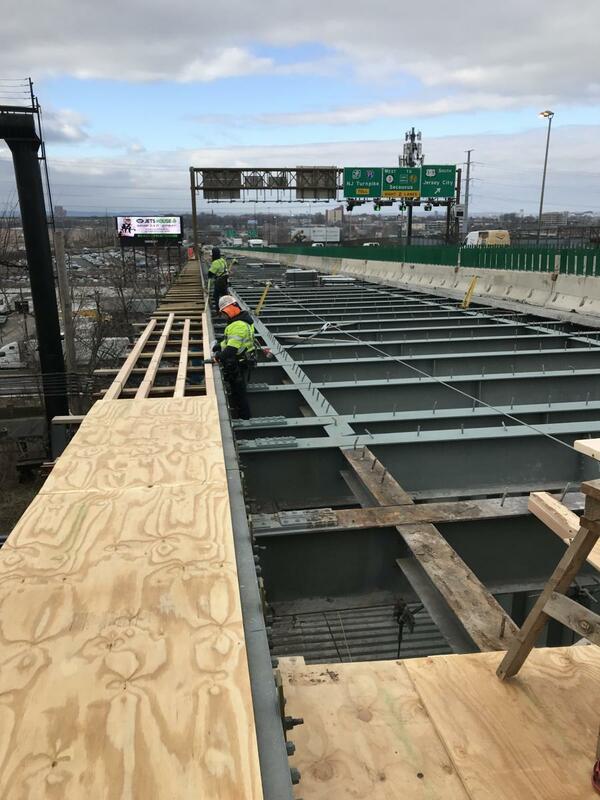 The New Jersey Department of Transportation (NJDOT) project to rehabilitate the viaduct along Route 495 began in September 2017 and includes repairs and reconstruction of the bridge deck, replacement and strengthening of deteriorated structural steel, and the repair and painting of the substructure. A $102 million state-funded project involving a nine-span viaduct along Route 495 is currently under way in New Jersey's Hudson County. 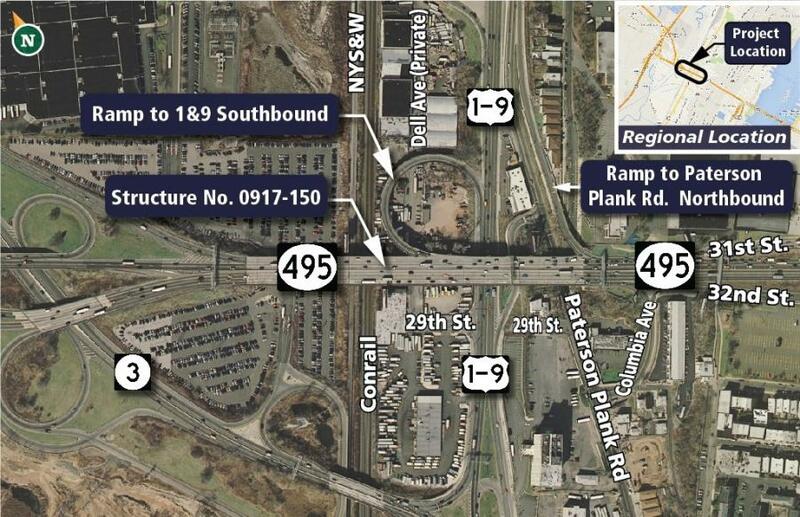 Specifically, the bridge carries traffic on Route 495 over the NYS&W and Conrail rail lines, as well as Route 1 and 9, Paterson Plank Road and Liberty Avenue in the township of North Bergen. 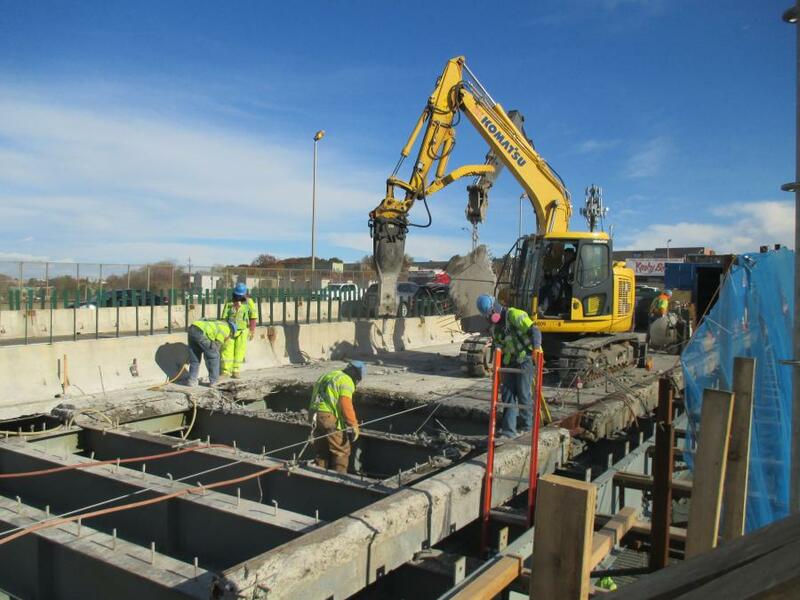 The New Jersey Department of Transportation (NJDOT) project to rehabilitate the viaduct began in September 2017 and includes repairs and reconstruction of the bridge deck, replacement and strengthening of deteriorated structural steel, and the repair and painting of the substructure. In addition, there will be drainage improvements as well as safety and operational performance improvements. The project is being funded through the State Transportation Trust Fund (TTF) and the contractor is I.E.W. Construction Group Inc., Hamilton, N.J. According to Steve Schapiro, director of communications of NJDOT, Route 495 opened in 1939 and originally provided access between Route 3, Route 1 and 9, and the Lincoln Tunnel. In 1952, the roadway was extended west and a new interchange with the NJ Turnpike was constructed. When this occurred, regional traffic movements shifted westward to the NJ Turnpike, which serves as New Jersey's transportation spinal cord linking its population and employment nerve centers from Pennsville to Fort Lee. Route 495 was decommissioned as a federal highway in 1980 and was taken over by the New Jersey Department of Transportation making it a state owned/maintained highway. 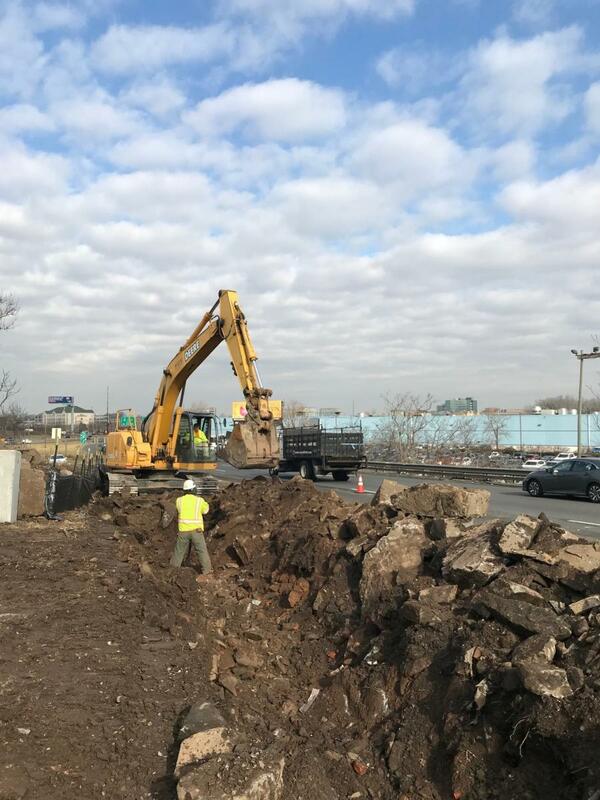 "The Route 495, Route 1&9/Paterson Plank Road bridge deck is in poor condition and the structural framing and supporting piers have areas of severe corrosion and section loss," Schapiro said. He noted that the purpose of this project is to restore the structural integrity of the bridge, extending its service life for an estimated 75 years, and minimize the need for future emergency repairs, which impact traffic operating conditions. According to NJDOT, Hudson County is a dense urban area with a population of more than 630,000 people. Connecting the Lincoln Tunnel to the New Jersey Turnpike, Route 495 bisects Hudson County with links serving Secaucus, Jersey City, Hoboken, West New York, Weehawken, Union City and North Bergen. "The biggest challenge on this project is the fact that it is a critical commuter artery into New York City and there are no alternate routes nearby that traffic may shift to during construction on the mainline," he said. "Therefore, the project has been designed in stages with only one lane of traffic in each direction being closed throughout the project. During several stages the work area is between traffic going in opposite directions." The average daily traffic on Route 495 over the viaduct is 152,000 vehicles. During the morning peak there are more than 9,200 vehicles an hour and during the evening peak the count exceeds 10,100 vehicles an hour. That includes 1,800 buses using the exclusive bus lane (XBL) each morning carrying 63,000 commuters into Manhattan from 6 a.m. to 10 a.m. with a peak of about 650 buses per hour. Schapiro explained that the XBL is a contra-flow transit lane along Route 495 from the NJ Turnpike to the Lincoln Tunnel. It is considered the busiest and most productive bus lane in the nation. 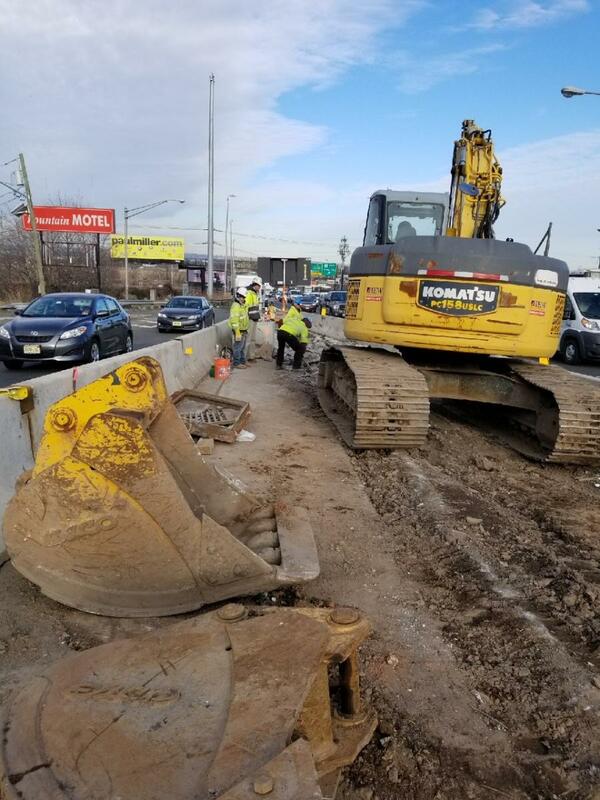 Each weekday, the XBL dedicates a westbound travel lane to eastbound buses during the morning commute from 6 a.m. to 10 a.m. Because of its importance to the daily commute from New Jersey to Manhattan, the XBL lane will be maintained during all stages of construction. According to Schapiro, construction is being accomplished in 12 stages — eight of which are the deck replacement, which requires the lane closures. "NJDOT looked at several alternatives and found the option of closing one lane in each direction during construction to be the most effective," he said. Stages 1 and 2, which prepared the adjacent roadways and bridge approaches for the deck repair and lane shifts, are complete. In August 2018, one lane of Route 495 in each direction was closed to begin Stage 3, the first of eight deck replacement stages. The 31st Street ramp to 495 westbound also was closed at this time. The lane closures during these eight stages will be in place 24 hours a day, seven days a week. Three out of four lanes in each direction are being maintained during the deck replacement. Shapiro reported that the project is currently in Stage 4, the repair of two right lanes of Route 495 eastbound. This stage is expected to be completed this summer. Stages 5 and 6 will continue the reconstruction of the deck and parapets in the eastbound direction. Stages 7, 8, and 9 will reconstruct the Route 495 westbound deck and parapet, along with repairing the ramps to and from Route 1 and 9 to Route 495 westbound. Stage 10 will complete the final median barrier and Stage 11 will complete the final roadway approach improvements. Stage 12 is milling, paving and traffic striping. "To reduce future corrosion and minimize future repairs, the project is using hot dipped galvanized structural steel that is then painted," Schapiro said. "By providing two protection coatings it significantly reduces future primary structural steel component corrosion. 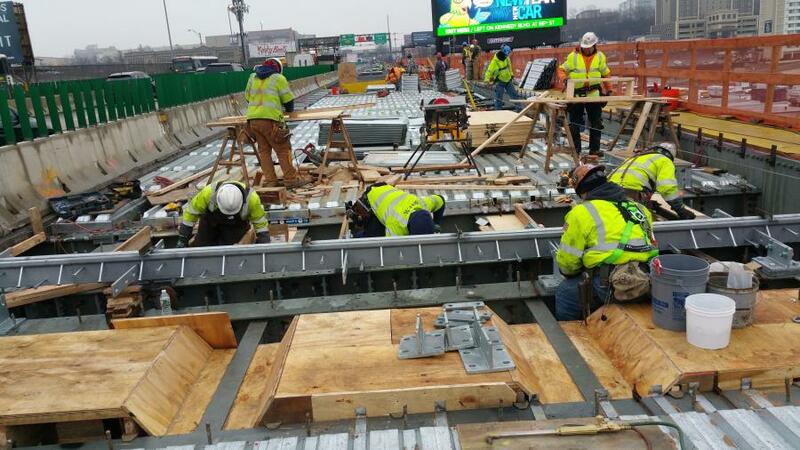 In addition, the use of stainless steel reinforcement in the new bridge deck significantly reduces future corrosion potential that leads to deck deterioration." He noted that traditional equipment is being used on the project, including backhoes, front end loaders, saw cutting equipment and saw cut groove equipment, hi-rich, jack hammers, welding, light towers, pavers, rollers, a mobile crane, a deck finishing machine, large generators, and a noise monitoring system. The lane closures for the eight deck repair stages are expected to last for about 2-1/2 years while the entire bridge deck, parapets, light fixtures, guiderail, and drainage are replaced. The entire project is expected to be completed in summer 2021. "Besides the uniqueness of the XBL and the need to keep this critical commuter route open during construction, NJDOT has worked very closely with the community and other transportation agencies such as NJ TRANSIT and the Port Authority of New York and New Jersey to mitigate congestion and the effect of the project locally," Schapiro said. "As part of the project, NJDOT has been working with local officials, employers, and commuters to promote several strategies including: switching to public transportation, joining a carpool or vanpool, adjusting travel times around peak morning and evening travel periods, telecommuting or working at other sites that employers may have available, and using the George Washington Bridge or the Holland Tunnel if that is an option." One of the traffic mitigation steps being implemented during the project is the closure and detour of the 31st Street ramp onto Route 495 westbound. Traffic will be detoured onto Patterson Plank Road while the bridge deck is being replaced. Schapiro noted that this will remove between 1,200 and 1,500 vehicles per hour entering the westbound roadway during peak periods and should help ease some of the anticipated congestion and delays. However, during the morning commute, NJ TRANSIT buses only are allowed to access Route 495 westbound to minimize the delays for commuters using NJ TRANSIT to go to jobs west of the project. For more information, visit RestoreNJ495.com.